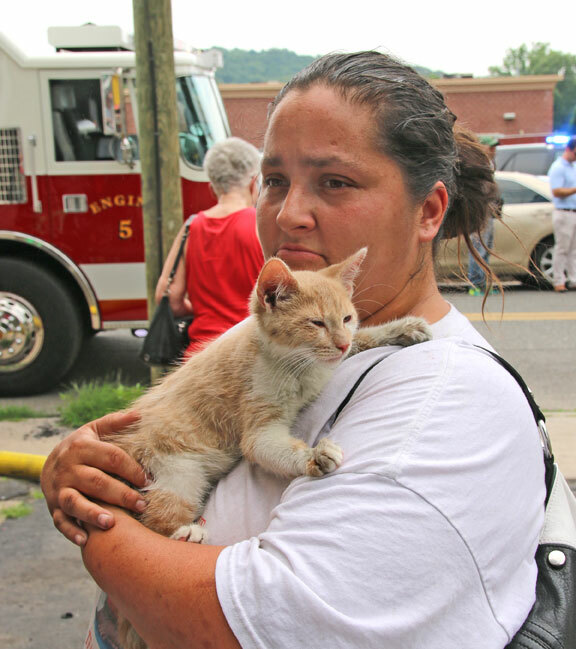 NAUGATUCK — Five cats were killed in a house fire on Diamond Street Tuesday. 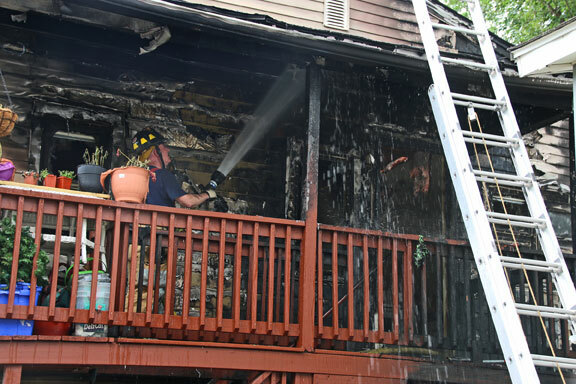 Firefighters responded to a fire at 19 Diamond St. at 11 a.m. All the people inside the two-family house made it out OK, and four other cats were rescued. Fire Chief Ken Hanks was the first to arrive on the scene. He said there was already heavy grey smoke coming out of the house when he arrived. Hanks said the fire started in the kitchen of the first floor apartment and extended to the second floor. “The fire started in the kitchen, in the rear of the building. It extended out the door and up to the second floor porch,” Hanks said. The fire was contained to the home and did not spread to a neighboring home about 15 feet away. “That was our concern with the fire coming out the back. But there is no fire damage to the house in front,” Hanks said. The fire was caused by food being left unattended on the stove, Hanks said. He added that cooking fires, especially unattended cooking, are the number one cause of fires in America. “Someone was cooking and left the room for a few minutes. When they returned, the fire had started,” Hanks said. Andrew Bolden, who was visiting, said he was cooking Tater Tots and sausages. He left the kitchen “for a second” when the fire caught, he said. “It went so fast after that,” he said. George Wright Sr., whose son, Edward Wright, lives in the top apartment, said his son and girlfriend escaped without injury. Edward Wright’s two daughters, ages 7 and 5, were at school when the fire broke out. Janette Nuzario and her daughter, Nekka Nuzario, 8, lived in the lower apartment. Nekka Nuzario was also at school when the fire broke out, Bolden said. Hanks said the fire department recovered nine cats, but only four of them were alive. The apartments are uninhabitable, and both families were displaced. “No one will be staying in this house for a while. There is heavy fire damage on the first floor and heat and smoke damage on the second floor,” Hanks said. The Red Cross made sure both families had somewhere to sleep and basic supplies Tuesday night. Fire Marshal Robert Weaver passed out at the scene after the fire had been extinguished. Hanks said he was taken to the hospital and treated. Weaver is doing fine, Hanks said. All adults at home not working. 9 cats? Guess the cats had their own food stamps.